BRING THE FUNK! 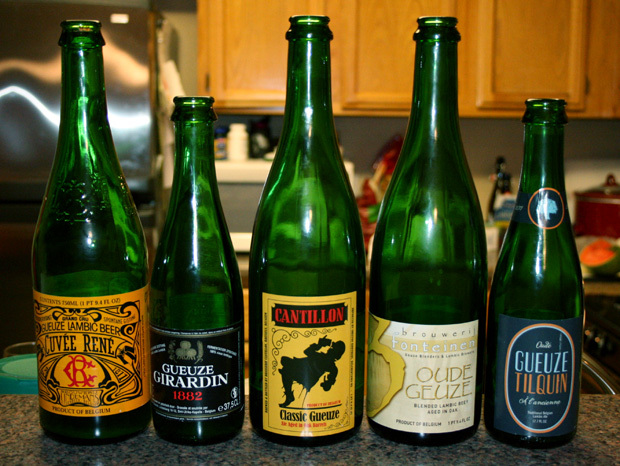 5 gueuzes, 4 drunken fools, 1 show full of complexity and uncles with odd names. 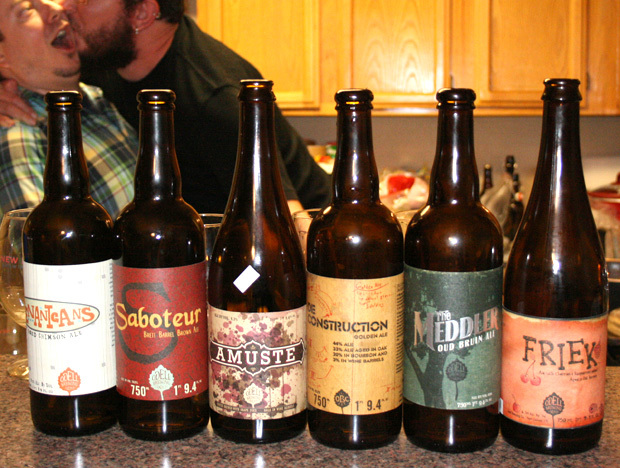 Photo: Odell Cellar Series, and Mike gives Grant the what for. Listener Jason Straub sent us 6 corked and caged beers from Odell Brewing. We’re all here to try them, even Grant. Thank you Jason! 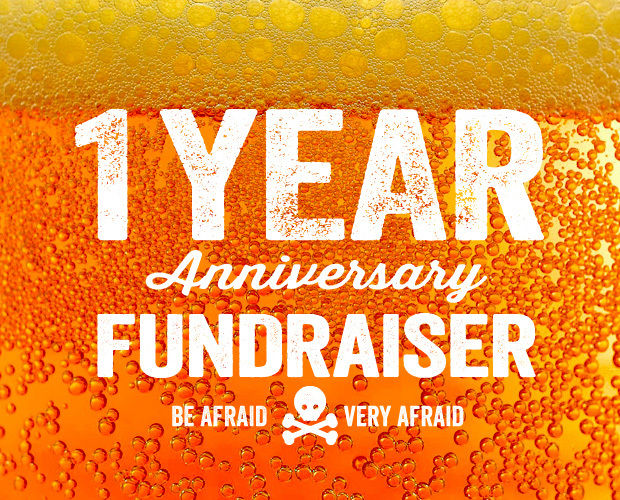 We’re going to record our 1-year anniversary show on April 19th. For that show, we’ll be drinking some interesting (horrible) stuff, and reviewing it. And you’ll get to vote on what we have to drink. Click the link below and make a donation. Click “Add special instructions to the seller” when you’re making your donation and let us know which of the four show types you want us to do. The show idea that gets the most money donated to it will be the show we record on April 19th. All money will be put towards getting The Beerists to the Great American Beer Festival in October. If you’re skeptical at the value of such a show, see our Malt Liquor episode. Deadline is April 18th. Do your worst. One more thing. Each person who has ever donated to the show will be eligible for a delicious delicious prize, to be named later. 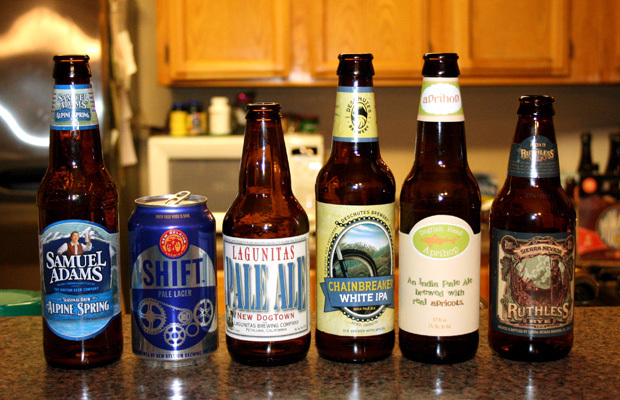 We’ve gathered some nice Springtime beers from six different widely-distributed breweries. So go to the store, get some, and drink along. The GABF 2012 Small Brewer of the Year, Funkwerks, is making some interesting and drool-worthy beers. They’ve sent us 5 of them to try on the show. Music provided by Grupo Fantasma.